The “My BackYard” inclusive playground has been designed to provide active and meaningful experiences for children of all ages and abilities, located in Central Kansas. Great Bend’s newest destination playground features the latest in playground equipment, a 1/8th of a mile walking trail, sensory garden area, green space for activities, shade, and seating. 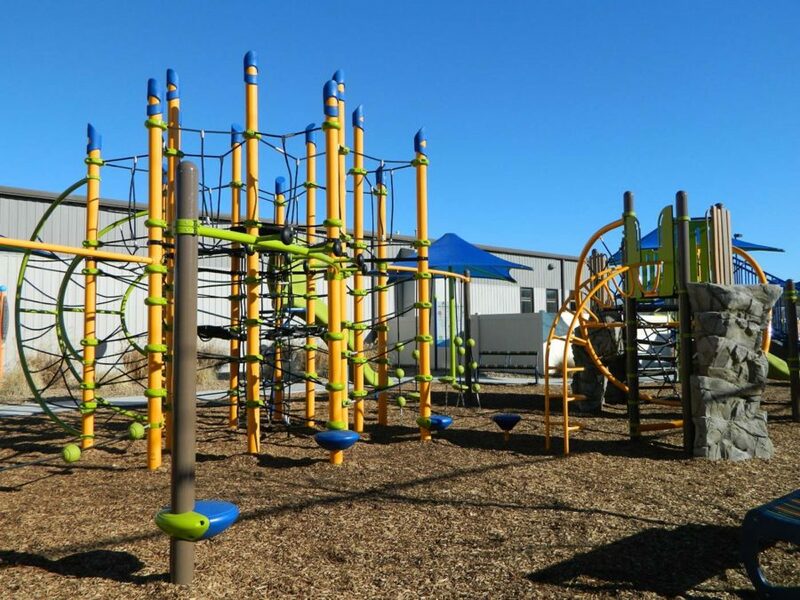 The Landscape Structures playground includes such features as the OmniSpin, Rollerslide, We-Saw, NetPlex, TopsyTurny, climbing rocks, and a ZipKrooz. “There is also an ensemble of outdoor musical instruments within the central area of the playground, offering a unique sensory experience through creative musical play”, noted Diann Henderson, Executive Director, GBRC. The playground is designed for ages 2-5 and 5-12, and was made possible by Great Bend Recreation Commission, City of Great Bend, Makinna Ann Hope Foundation, USD #428, ATHCO, and Landscape Structures.